Chris Liebing’s label has arrived to the 31st release but this is the very first in my collection. 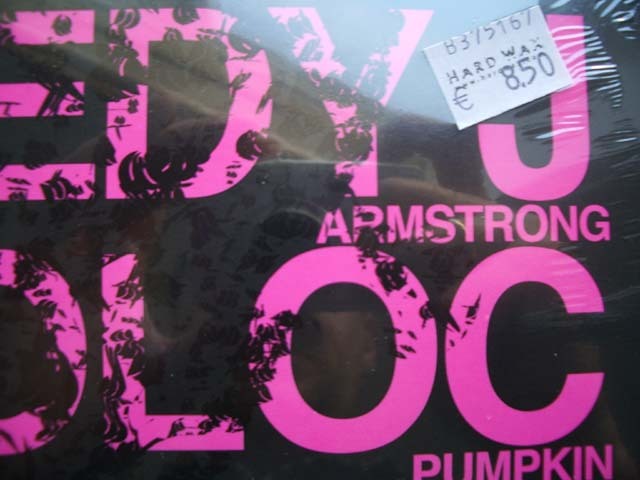 B-side is clearly the downside of this 10-inch: Monoloc serves us a “Pumpkin” that does not taste at all. It’s a common-sounding and dull techno track that’s going nowhere, despite of having a certain portion of metallic funk in it. On the flip, the upside that delivers naked and purist techno by grandmaster Speedy J himself. “Armstrong” is a menacing and deep track with fat basses pumping with confidence. Clearly an achiever, like Neil, the first-man-on-the moon, or Lance, the-man-living-in-the-saddle- whichever Armstrong the producer had in mind. Like Monoloc’s, this is not a speed-crazy “schranz” track either, with BPMs around 120. Massive.